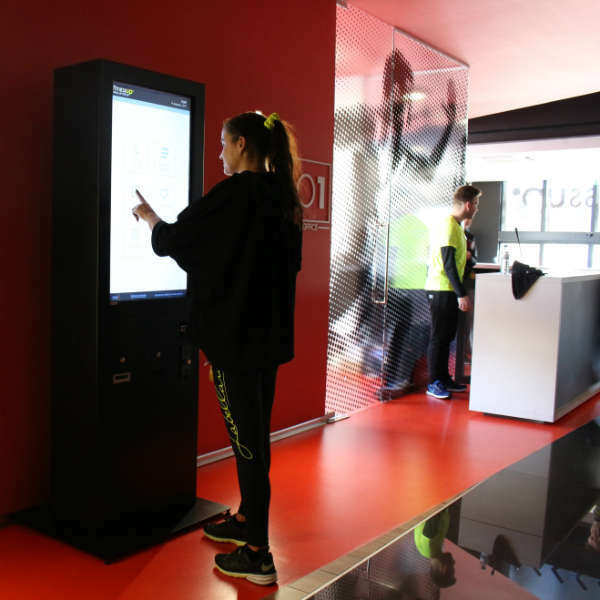 Sport with quality, is the philosophy of Fitness UP gym, which inaugurated another space in Paços de Ferreira, in Portugal and that chose PARTTEAM & OEMKIOSKS to develop the technological and interactive equipment for the place. 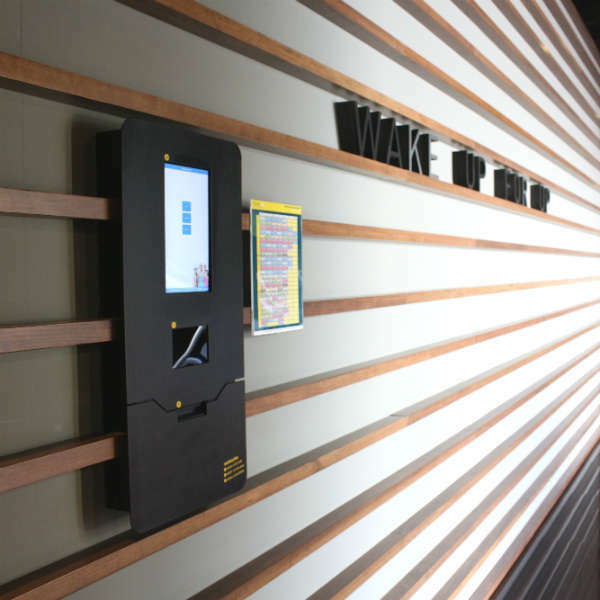 For this project PARTTEAM & OEMKIOSKS has developed a 40" TEZIS digital billboard , two STYLOW touchscreen kiosks with different components and features. 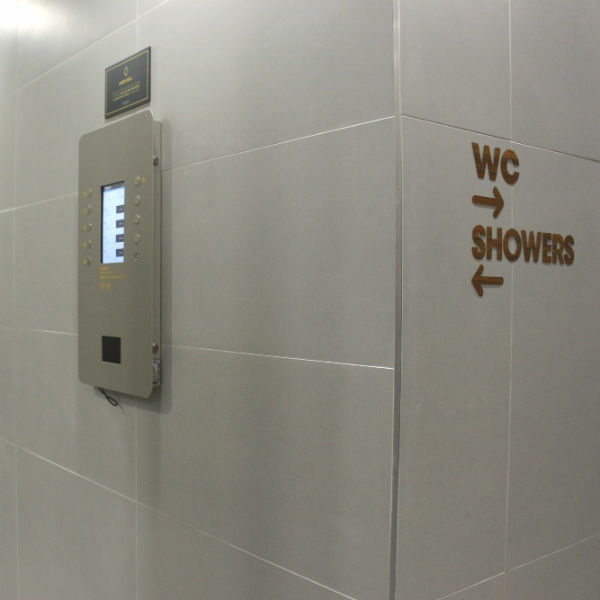 The main feature of these interactive self-service kiosks is to check and view the gym's calendar and classes, check and carry cards, as well as control the showers in the changing rooms. 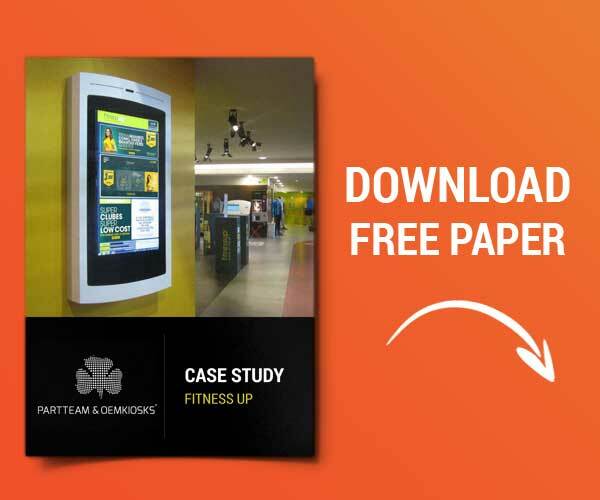 The use of digital billboards is increasingly common in gyms to meet the needs of an increasingly demanding customer. Access to the gyms and other places of sport and leisure are carried out in a totally autonomous way on the part of the actors, through systems of access control, queue management or even appointment / consultation of classes and payment of quotas. In addition, this technology enables cost reduction and commitment to service autonomy, without queues , among other services and software that new technologies provide.